As the Atari PC line progressed they became less and less “Atari” in their design. Gone was the Atari Mouse Port, the Atari External Floppy Port and peripherals that went with them. Instead these features where dropped in favour of generic (and much cheaper) components. 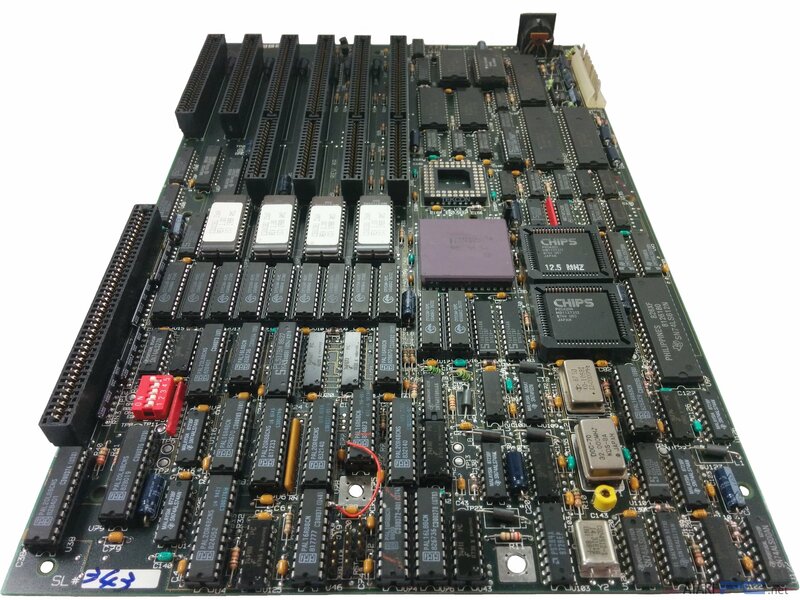 The motherboard was no different with an Atari designed and produced board giving way to a generic one. In this case they used the American Megatrends (AMI) 386XT Series-4. Of note with this particular motherboard the Atari part code refers to it as being a “C300394 Rev 2”. The original manufacturer part name however refers to it being a Revision A. However most likely any differences between a C300394 Rev 1 (if it even exists) or the Rev 2 would be minor. Currently I am unaware of of there being any other Revisions as this is the only board in my possession and I am yet to find any other examples. From what I can tell this particular version of the AMI 386XT appears to have been produced for Atari with the Atari P/N printed between the ISA slots (not visible in below image). I can find many references to a AMI 386XT Series-6 but nothing at all on a Series-4. Both boards appear to be identical in their layout. This particular motherboard comes with a 386DX-16. Note the proprietary memory slot of which the C300395 32 Bit External Memory Card slots into.